In the 1970s, scientists discovered that individual humpback whales (megapteranovaeanglia) can be identified by looking at the underside of their flukes,or tails. The distinct coloration, shape, and scarring pattern of the flukes’undersides are as unique as human fingerprints, allowing us to distinguish individual whales using only pictures of their flukes. Fluke identification through photography has since become the bedrock technique of humpback whale research worldwide. 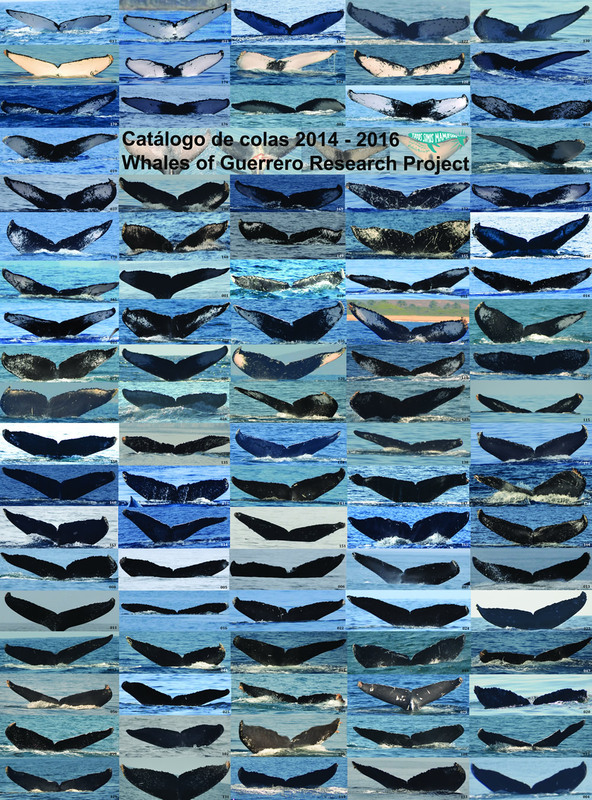 In 2014, the Whales of Guerrero Research Project started a photo-identification project in Barra de Potosí, near Zihuatanejo and Ixtapa, where not a single scientific study ofwhales had previously been conducted. Today our catalogue has more than 300 individual whales, and we share our pictures with researchers and whale watch companies along the entire west coast of North America to improve the overall knowledge of Pacific humpback whales. Every time we take a picture of a whale tail, we give it an ID number. Some whales have been adopted and named by project supporters, so those names go in the catalog too, and the adopters find out when their whales have been resighted. For example, one of our whales is known by the ID WGRP_003 and the name Fran, because it is the 3rd whale we successfully photographed and was later adopted and named by Ferd Bergholz in memory of his late wife, Fran. Each of our whale tails becomes a puzzle piece in the big jigsaw puzzle of 21,000+humpback whales that live in the northeastern Pacific Ocean. When we see a whale in anew place, we understand more about how it is surviving in this noisy ocean with limited food resources, and when we spot it again down here, breeding or with a calf, we always celebrate! WGRP_003 aka CRC 12049 aka Fran was spotted for the first time in Guerrero on January 20, 2015. As it turned out, scientists at Cascadia Research Collective (CRC) have identified this whale over 40 times in the Monterey Bay area! With over 15,000 whales in their catalog CRC has the longest running and largest catalog of humpback whales in the world. Our friends at Fast Raft saw Fran many times this summer in Monterey as well, hanging out with her friend, Stitches. She was looking nice and well fed last summer. We hope to see her down here this winter! Motitas aka CRC 12256 aka WGRP_027 was spotted on board a Cabo Trek expedition out of Cabo San Lucas in June 2016. We first saw Motitas here on January 14, 2015. This whale was named and adopted by the Casita Ecovegana in Zihuatanejo. Motitas is quite the wanderer, having been seen in Northern and Southern California since 2007. CRC 16179 aka WGRP 174 was spotted by our team on February 16, 2016, an d on February 22, 2016 our friends at Orca de Sayulita spotted this whale on a whale watch! That’s nearly 400 miles of swimming in 4 days!!! Want to follow our whales as they pop up in other places? Check out Happy whale! 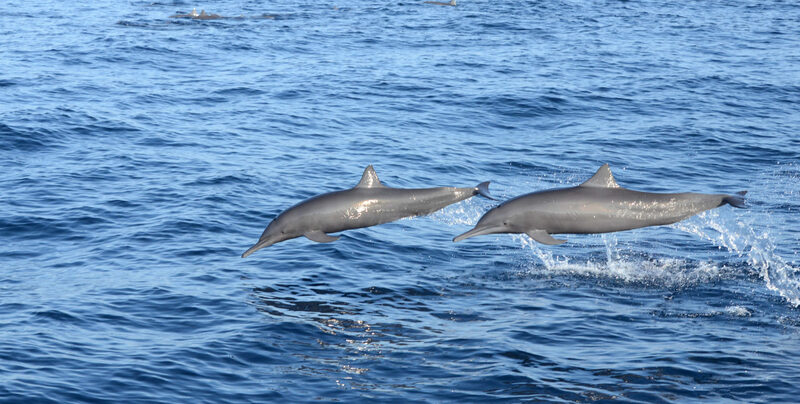 Not only can you follow our whales, you can also upload your own pictures to see if they match with any of ours.